Adopt a Tardigrade From the Lobi Store! Hello once again from the Tardigrade Adoption Agency! We hope you’ve all had an excellent time reading all about your Tardigrade’s adventures over the holidays. We had a wonderful time sharing them with you. But now, it’s time for our little space babies to grow up and go out into the world. And who better to guide them than you? That’s right. Starting with the launch of Mirror of Discovery on PC (and coming soon on Console), you’ll be able to purchase your very own Tardigrade pet from the Lobi Store in game. 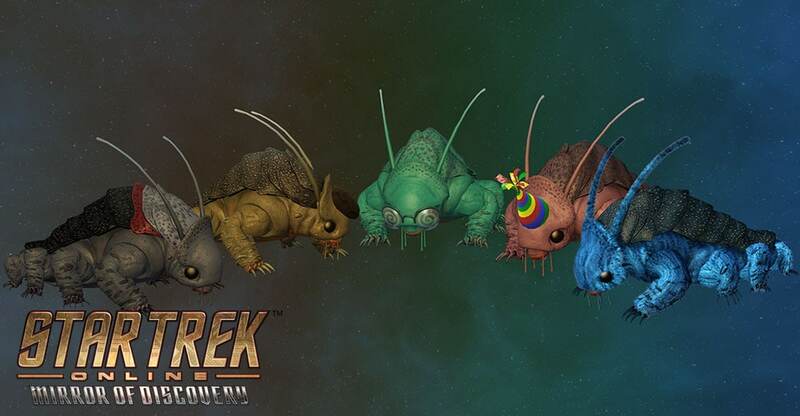 Each one of our five unique Tardigrades will be available as a non-combat pet for any of your Captains. They’re eager to get to know you. So who will you be adventuring with – Smarty, Skipper, Party, Arty, or the Lieutenant?